The Coil Art Mage 24mm GTA is built off of the performance orientated Mage platform and is specifically designed towards flavor centric production and output, with a two post midsection build deck with notch style terminals. The Mage GTA measures 24mm in diameter and 47mm in overall height, bringing in the similar dimensions to the original Mage 24mm RTA. Filling is done via a threaded system that is built into the delrin top cap that opens up to dual fill ports. The two post build deck is positioned to sit in the middle of the tank reservoir and features a dual notch terminal design that features side mounted Phillips Screws and high siding for additional build flexibility. Dual 4mm half circle wicking ports allow for great wicking, while the Mage 24mm GTA's deck is fully 24K Gold Plated for more conductivity while bringing a more visually appealing presentation. Airflow of the GTA features an adjustable triple airslot design, with each airslot measuring 10.5mm by 1.5mm, allowing users to run high powered single coil configurations if desired. 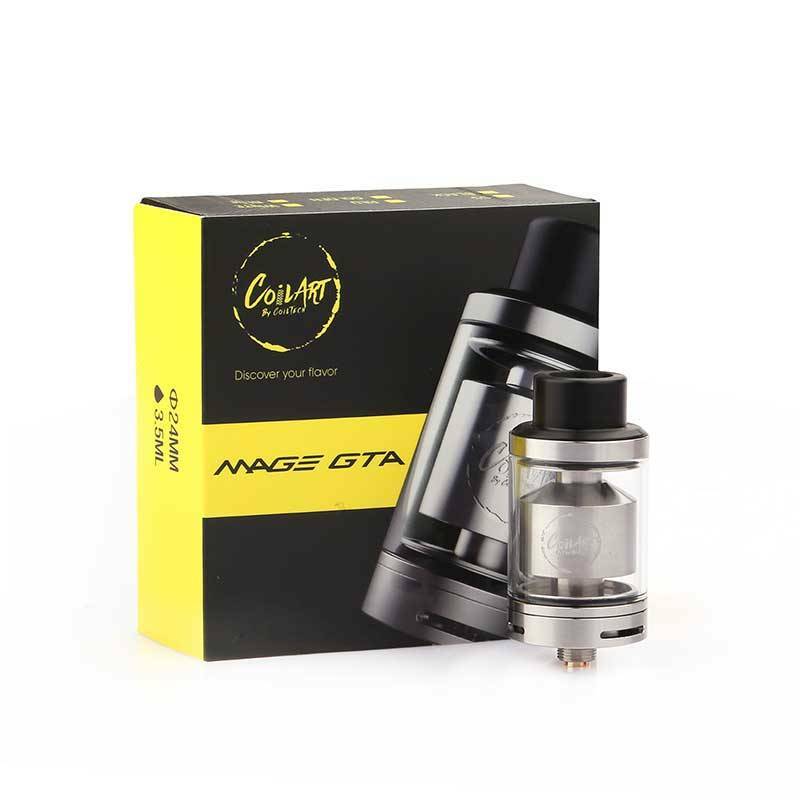 Maintaining the legacy of high performance from the original Mage series, Coil Art's Mage 24mm GTA is a great solution for users wanting a more robust flavor specific platform.